Wolverines got things started in the first inning. Brooklyn Jones drove in one when she tripled. Rachel Treves was the winning pitcher for Bellevue Wolverines. She surrendered two runs on five hits over four innings, striking out seven. Charlotte Cullom threw one inning in relief out of the bullpen. Kiana was in the pitcher’s circle for Interlake. She went one inning, allowing six runs on four hits. Lexi threw three innings out of the bullpen. Wolverines had 11 hits in the game. Mason Mukhar and Emi Williams all managed multiple hits for Bellevue. Williams and Mukhar each collected two hits to lead the Wolverines. Wolverines was sure-handed and didn’t commit a single error. Williams made the most plays with eight. Lexi led Interlake with two hits in three at bats. Bellevue Wolverines was boosted by Morgan Pingree who went 4-for-5 at the plate.Pingree singled in the first, doubled in the first, singled in the second, and singled in the fourth. In the first inning, Bellevue Wolverines got their offense started. Bellevue Wolverines scored one run when Brooklyn Jones tripled. A single by Kailyn Baccetti in the second inning was a positive for Mercer Island. Treves was credited with the victory for Bellevue Wolverines. She lasted five innings, allowing one hit and zero runs while striking out nine and walking one. Chloe Larson was in the circle for Mercer Island. She allowed 20 hits and 24 runs over three innings, striking out two. Michelle Lyon threw two innings out of the bullpen. Bellevue Wolverines launched one home run on the day. Claire Seats went for the long ball in the first inning. Bellevue Wolverines saw the ball well today, racking up 28 hits in the game. 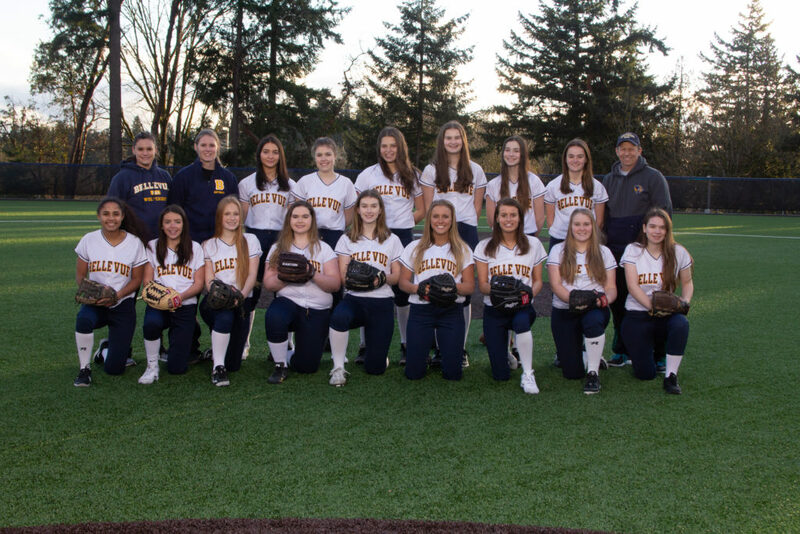 Kelly Treves, Pingree, Montana Jones, Mason Mukhar, Treves, Seats, Kendall Mecham, Cam Durrell, and Jones all managed multiple hits for Bellevue Wolverines Varsity. Treves went 5-for-6 at the plate to lead Bellevue Wolverines Varsity in hits. Bellevue Wolverines Varsity was sure-handed and didn’t commit a single error. Emi Williams made the most plays with nine. Baccetti led Mercer Island with one hit in two at bats. 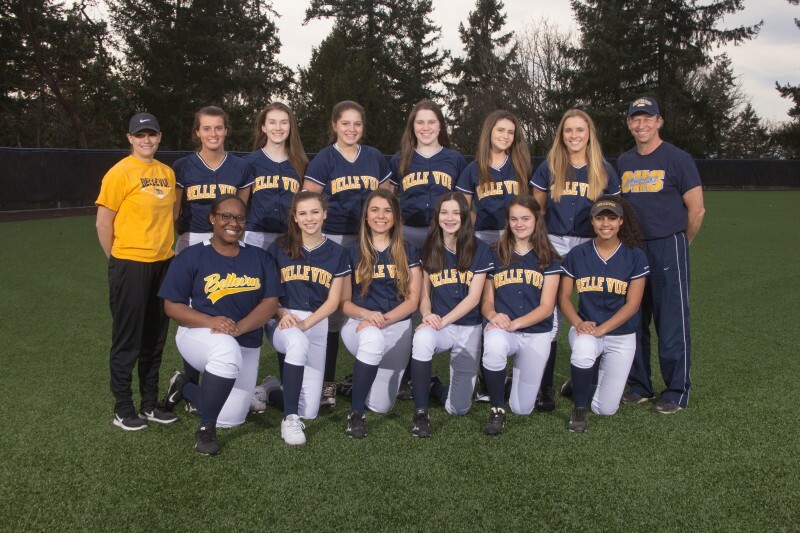 Bellevue Wolverines defeated Bishop Blanchet 20-7 on Friday thanks in part to Brooklyn Jones, who drove in five runners. Jones drove in runs on a walk in the first, a home run in the third, and a double in the fifth. Bishop Blanchet scored seven runs in the fourth inning, but Bellevue Wolverines still managed to pull out the victory. Bishop Blanchet offense in the inning was led by Bridget Bjorke, Kate Judy, and Ella Burmester, all driving in runs in the inning. Bellevue Wolverines fired up the offense in the first inning, when Mason Mukhar drew a walk, scoring one run. Bellevue Wolverines scored seven runs in the third inning. Jones, Kendall Mecham, Claire Seats, Rachel Treves, and Montana Jones each had RBIs in the frame. Treves pitched Bellevue Wolverines to victory. She allowed one hit and zero runs over four and a third innings, striking out eight. Charlotte Cullom threw two-thirds of an inning in relief out of the bullpen. Burmester started the game for Bishop Blanchet. She allowed seven hits and 12 runs over two innings, striking out one. Lauren Perryman threw three innings in relief out of the bullpen. Bellevue Wolverines socked two home runs on the day. Seats put one out in the second inning. Jones went for the long ball in the third inning. Bellevue Wolverines totaled 15 hits in the game. Mecham, Seats, Mukhar, Kelly Treves, Treves, and Jones all managed multiple hits for Bellevue Wolverines. Mecham went 4-for-5 at the plate to lead Bellevue Wolverines in hits. Pingree tripled in the first, tripled in the second, singled in the second, and singled in the fifth. There was plenty of action on the basepaths as Bellevue Wolverines collected 23 hits and Sammamish had nine. Bellevue Wolverines got on the board in the first inning when Brooklyn Jones grounded out, scoring one run. Bellevue Wolverines tallied 11 runs in the second inning. The big inning was thanks to singles by Kendall Mecham, Montana Jones, Kelly Treves, and Pingree, a triple by Pingree, a groundout by Claire Seats, and an error on a ball put in play by Charlotte Cullom. Sammamish scored three runs in the fourth inning. Kylie Ravenscraft and Morgan Sullivan each had RBIs in the big inning. Cullom pitched Bellevue Wolverines to victory. She went four innings, allowing six runs on eight hits and striking out three. Rachel Treves threw one inning in relief out of the bullpen. Sabine Cabales took the loss for Sammamish. She allowed 23 hits and 21 runs over five innings, striking out five. Bellevue Wolverines had 23 hits in the game. Pingree, Mecham, Treves, Mason Mukhar, Seats, Jones, and Jones each managed multiple hits for Bellevue Wolverines. Treves, Mecham, and Pingree each collected four hits to lead Bellevue Wolverines. Bellevue Wolverines tore up the base paths, as three players stole at least two bases. Jones led the way with three. Cherise Flavius led Sammamish with three hits in three at bats. Wolverines fired up the offense in the first inning. Bellevue Wolverines scored one run when Brooklyn Jones tripled. Rachel Treves earned the win for Wolverines. She went six innings, allowing one run on seven hits and striking out two. Charlotte Cullom threw one inning in relief out of the bullpen. Bumiller took the loss for Lake Washington. She surrendered four runs on seven hits over six innings, striking out four and walking one. Bellevue Wolverines racked up eight hits in the game. Jones and Kelly Treves all managed multiple hits for Wolverines. Treves and Jones each collected two hits to lead Bellevue Wolverines. Pippin led Lake Washington with two hits in four at bats. Bellevue Wolverines snatched the lead late in the game in a 6-2 victory over Juanita on Friday. The game was tied at two with Wolverines batting in the top of the sixth when Rachel Treves doubled on the first pitch of the at bat, scoring one run. Juanita opened up scoring in the second inning, when an error scored one run for Juanita. Wolverines knotted the game up at two in the top of the third inning. Kendall Mechamdrove in one when she singled. Treves earned the victory on the rubber for Wolverines. She surrendered zero runs on two hits over five innings, striking out one and walking one. Mackenzie Burke took the loss for Juanita. She went six and a third innings, allowing six runs on 14 hits and striking out two. Wolverines tallied 14 hits. Mecham, Montana Jones, Emi Williams, and Treves each collected multiple hits for Wolverines. Mecham went 3-for-4 at the plate to lead Bellevue Wolverines in hits. Abbie Reynolds led Juanita with two hits in two at bats. Clare Seats got busy on the basepaths on Thursday, knocking four hits in Wolverines‘s 23-5 victory over Kentlake. Seats singled in the first, homered in the third, singled in the third, and singled in the fourth. Kentlake scored three runs in the fourth inning, but Wolverines still managed to pull out the victory. Kentlake offense in the inning was led by Cady Wilton, Taylor Wong, and Naomi King, all sending runners across the plate with RBIs in the inning. Wolverines fired up the offense in the first inning, when Mason Mukhar tripled on a 2-0 count, scoring two runs. Wolverines scored eight runs in the fourth inning. Kelly Treves, Kama Boswell, Seats, Emi Williams, Charlotte Cullom, and Montana Jones each had RBIs in the frame. Rachel Treves got the win for Bellevue Wolverines. She allowed one hit and one run over two innings, striking out two and walking zero. Cullom threw three innings in relief out of the bullpen. Wolverines collected 17 hits on the day. Seats, Treves, Boswell, Jones, and Kendall Mecham each racked up multiple hits for Bellevue . Seats went 4-for-5 at the plate to lead Bellevue Wolverines in hits. Bellevue Wolverines defeated Bellevue Christian 12-0 on Monday as two pitchers combined to throw a shutout. Rachel Treves struck out Sydney Porter to finish off the game. Wolverines secured the victory thanks to eight runs in the third inning. The big inning was thanks to singles by Brooklyn Jones and Kama Boswell, an error on a ball put in play by Mason Mukhar and Kelly Treves, and a groundout by Mukhar. Bellevue Wolverines got things moving in the first inning, when Treves hit a solo homer. Wolverines put up eight runs in the third inning. Bellevue Wolverines big bats were led by Mukhar, Jones, Boswell, Treves, and Mukhar, who all drove in runs. A single by Hannah Hamilton in the third inning was a positive for Bellevue Christian. Charlotte Cullom led the Wolverines to victory in the pitcher’s circle. She allowed one hit and zero runs over three innings, striking out five. Treves threw two innings in relief out of the bullpen. Hamilton took the loss for Bellevue Christian. She surrendered 12 runs on eight hits over four innings, striking out two.Wolverines smacked one home run on the day. Treves had a homer in the first inning.Wolverines collected eight hits. Boswell and Jones all managed multiple hits for Bellevue Wolverines. Jones and Boswell each managed two hits to lead Bellevue Wolverines.Bellevue Wolverines was sure-handed in the field and didn’t commit a single error. Emi Williamshad the most chances in the field with seven. Hamilton went 1-for-1 at the plate to lead Bellevue Christian in hits. Bellevue Wolverines Varsity fought back after falling down by five runs in the sixth inning. The comeback fell just short though, in a 7-6 defeat to Bothell on Friday. Bellevue Wolverines Varsity scored four runs in the failed comeback on a triple by Charlotte Cullom, a stolen base by Cullom, a error, and a groundout by Kelly Treves. Bellevue Wolverines Varsity fell behind early in the loss. Bothell scored on a passed ball by Liz in the first inning, a home run by Rylee in the second inning, and a single by Morgan in the second inning. Bothell pulled away for good with three runs in the second inning. In the second Rylee homered on a 2-1 count, scoring two runs and Morgan singled on a 1-1 count, scoring one run. Bellevue Wolverines Varsity notched four runs in the seventh inning. The rally was led by a triple by Cullom, a single by Montana Jones, a groundout by Treves, and an error on a ball put in play by Kendall Mecham. Morgan was the winning pitcher for Bothell. She surrendered six runs on seven hits over seven innings, striking out seven. Rachel Treves was in the circle for Bellevue Wolverines Varsity. She lasted four innings, allowing five hits and five runs while striking out one. Cullom threw two innings in relief. Bothell tallied two home runs on the day. Rylee had a dinger in the second inning. Briella had a four bagger in the sixth inning. Bellevue Wolverines Varsity tallied seven hits in the game. Claire Seats and Jones all had multiple hits for Bellevue Wolverines Varsity. Jones and Seats each managed two hits to lead Bellevue Wolverines Varsity.